Good morning everyone! Today is ‘Murica Monday, and I’ve decided to kick things off with a few castings which are not so American at all. 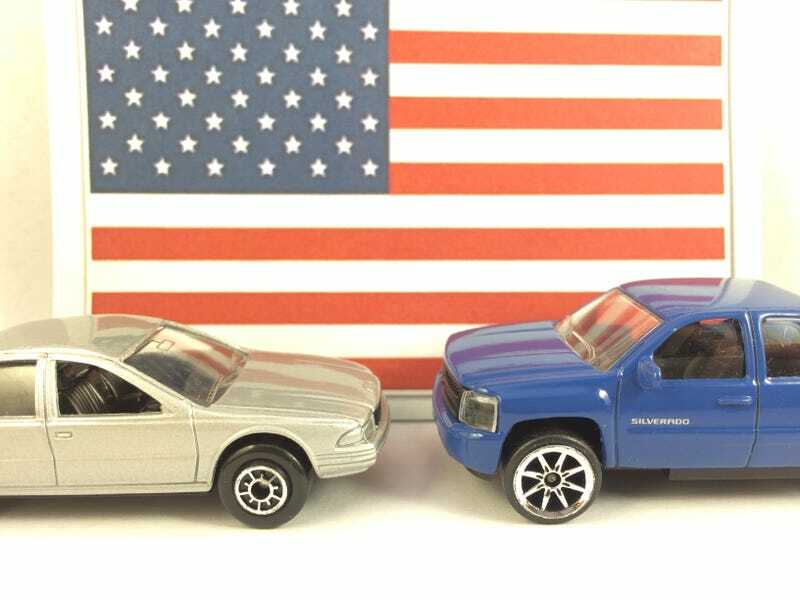 Yep, it’s Welly’s Caprice (from China) and Majorette’s Silverado (from France—made in Thailand)! Interestingly, neither is actually sold here directly in stores, but there you have it! A Chinese road-barge and a French ute both wearing the golden bow-tie! Thanks for looking, Happy ‘Murica Monday, and see you around LaLD!